Paulownia Tomentosa comes from the family Paulowniaceae of Asian origin, native to China, but grown massively in Vietnam, Japan and Korea. The genus, originally Pavlovnia but now usually spelled Paulownia, was named in honour of Queen Anna Pavlovna of The Netherlands, daughter of Tsar Paul I of Russia. It is also called “princess tree” for the same reason. It is popular in its native China for reforestation, roadside planting and as an ornamental tree. In Romania, although known, the wonderful tree has not become sufficiently publicized for its potential economic or the remarkable properties of its wood. Paulownia is a genus of various species of plants in the family Paulowniaceae; by artificial selection was obtained more efficient species for human needs. In recent decades, laboratory research has been aimed to genetic modification of Paulownia seed so that it would not only help ensure its survival, but maintain the growth rate and quality in cold winters and dry summers, as a result of rising temperatures in our country. Experts have concluded that the only species of Paulownia coping with seasonal temperature changes (-30 to +45 degrees Celsius) without losing its qualities and having slower growth rate is Paulownia Tomentosa. Paulownia Tomentosa is a deciduous tree that can reach a height of 30 m at maturity, with large heart-shaped leaves and a diameter of 60 cm. The flowers are produced in spring, with a tubular purple corolla and the fruit is a dry capsule, containing thousands of minute seeds. It grows well in a variety of soils but prefer the wetlands, and well-drained and average clay soil. The main trunk is vertical with branches growing with angles about 45-60 degrees from the stem and crown width can reach over 8 m in height. It has a light coloured fine grained wood, very light, resistant to contortion. It is recognized worldwide because of its rapid growth, approximately 4-5 m per year, and also because of its own stem regeneration; after each cutting produces a new offspring replacing the cut trunk. Another advantage of Paulownia Tomentosa tree is the resistance to low temperatures up to -30 degrees and high temperatures of 45 degrees. It is the only variety of Paulownia being able to withstand high temperature differences from one season to the next, and this is the reason why our experts do not recommend planting other varieties of Paulownia in Romania. Even though other varieties can survive under the harsh conditions encountered, especially in winter, in our country, the growth rate (which is, eventually, the reason of this investment) and, also the timber quality will be affected. Paulownia Tomentosa represents the balance, compensating for the carbon need, afforestation and, also the wood need, being an amazing timber and fuel tree provider; it also meets the environmental problem-solving for the 21st Century. Field formation in raised layers (ridges) is optional; however, it has to offer many advantages such as better drainage, greater plant root depth and faster soil warming in the early spring. If you have a well-drained and sandy loam soil, in an area with early spring comings there is no need for raised layers. Planting seedlings is done in straight lines, between 4 m apart, in the row. Spring is the ideal time to plant after the last frost, so the plant form a vigorous root growth all through spring, summer and autumn. In November, once with the first signs of frost, our tree enters the vegetative phase of growth, its leaves will be dried out and the whole stem will be cut at the base. Although this is a drastic measure (the plant shall have 4 m in height at the time), it is imperative to follow it as it is intended to force the plant roots growing. This will help plant to feed itself in the following spring, its roots being able to reach the groundwater system. Maintaining a moist environment during germination and initial seedling development is important. The recommended method of watering is drip irrigation, with a network of drip irrigation lines. As I mentioned above, many Romanian investors prefer to exploit the advantages in the rural areas of our country, namely reduced labour costs compared to other European countries. To reduce costs, depending on Paulownia Tomentosa plantation area, you can also opt for irrigating from water tank trailer or, even a wagon. The constant flow of watering, together with step by step process of fertilization ensures a sustained growth regime, especially in the early stages of vegetation. 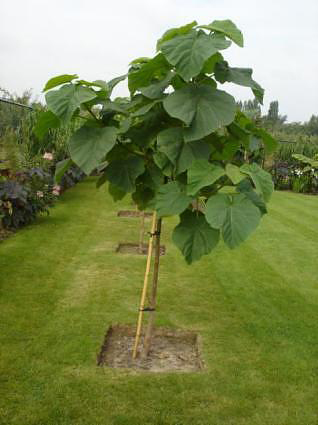 Paulownia Tomentosa prefers plentiful watering, daily (8-10 l / plant) in the first 2-3 weeks after seeding. This type of watering (plentiful) is better than frequent short waterings. After the first weeks, the plant needs further water: Paulownia Tomentosa plantation will have a growth rate proportional to the amount of water received! Harvesting trees is done thereafter every 3-4 years depending on the purpose for which PT was planted and the growth conditions, but due to the high development rate, the biomass crops may be cultivated at short intervals. 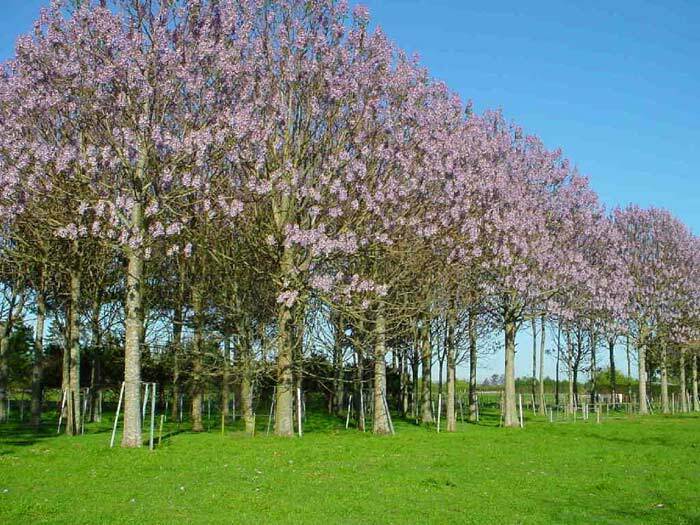 Because in our our country the climate has very cold winters and low temperatures since November until March-April, the experts recommend, in Romania, that Paulownia Tomentosa for timber be cut every four years. Trees will be cut down to ground level and another tree will grow from the same root system. The process can be repeated many times during the life spans, and a healthy Paulownia tomentosa can live between 80 to 100 years. 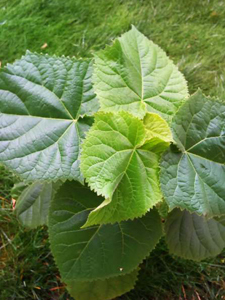 If Paulownia Tomentosa is grown for timber, after 3-4 cycles of cutting (approximately 15 years) plantation should be planted with young seedlings because both the wood quality and especially the growth rate of the initially planted trees will decrease.